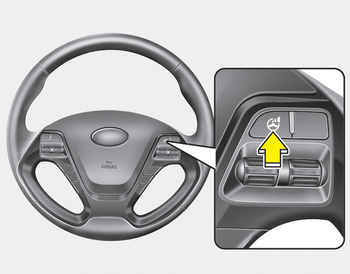 The flex steering wheel controls steering effort as driver's preference or road condition. 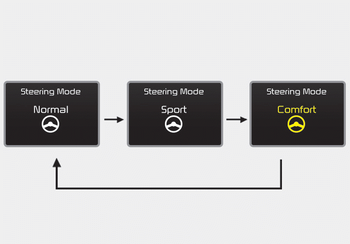 You can select the desired steering mode by pressing the steering mode button. 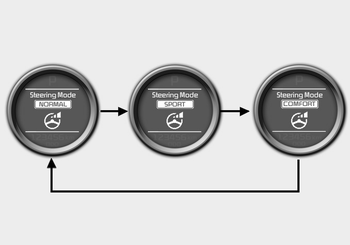 When the steering mode button is pressed, the selected steering mode will appear on the LCD display. If the steering mode button is pressed within 4 seconds, the steering mode will change as above pictures. If the steering wheel mode button is not pressed for about 4 seconds, the LCD display will change to the previous screen.